One More Happy Ending takes a fresh approach on an existing concept to inspire something extraordinary. Episode 1 begins with a fairytale ending that is shattered to pieces when the heroine files for divorce, depicting a harsh but pragmatic reality regarding the extremities of a man and a woman post-marriage. The newly-available husband gallivants around young women while the newly-single mom is left with two kids, barely enough alimony, not to mention a deteriorating figure from child-rearing and one too many wrinkles, spots or both. As the CEO of a matchmaking agency, Han Mi Mo (Jang Nara) has made a name by specializing in such cases but she is also a 34-year old divorcee excitedly anticipating a proposal from her boyfriend of two years. To which her friend and confidante Baek Da Jung (You Da In) warns, "You never know until the ring is on your finger." Mi Mo and Da Jung were part of the k-pop group Angels that disbanded in a chaotic rumble when Mi Mo finally had enough of Seul Ah's bad attitude. Seul Ah (Sandara Park) went on to become a top Korean actress while the remaining members left showbiz for good. 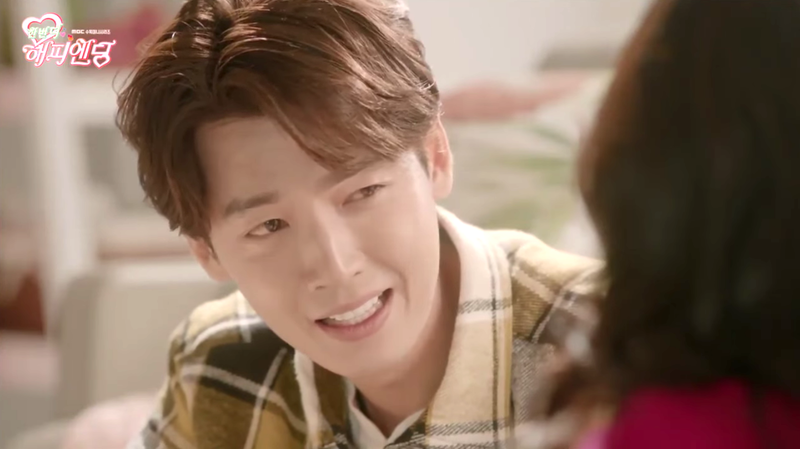 Now that the group is in their thirties, the drama will revolve around the 4 ladies and their relationships or lack thereof in Go Dong Mi's (Yoo In Na) case. First Impressions: How often do you watch a trailer thinking yes, yes and yes! Whoever made the drama's teaser is pure genius because it showcased what so far the first couple episodes have proceeded to confirm (bdw, there's a music video too). Casting was spot on with Jung Kyung Ho, Jang Nara, Yoo In Na and many more but of course they had to top it off with cameos from Sandara Park (2NE1) and Kim So Yeon. If you have seen Jung Kyung Ho in Smile You, you'll know that he can do comedy, and do it incredibly well. He's one of those actors that can portray your average joe that's sometimes awkward, unintentionally funny yet somehow manages to come across as totally swoon-worthy at the same time. Jang Nara doesn't even need an introduction since romantic comedy is undoubtedly her turf. I usually could care less about the ages of the actors and actresses but this is one where the main characters are really in their early thirties making the drama more genuine and heartfelt. I must say, Jang Nara has never looked this good in a k-drama. From Audrey Hepburn glamour to runway fashion, her styling is amazing and she looks great, truly deserving to be called a baby-faced beauty. Honestly, the plot wasn't all that interesting to begin with but it's the execution that's a winner, throwing in a farcical k-pop group and adding in all the quirky bits and pieces that make k-dramas so addictively appealing. What should have been a sad, down in the dumps love story turns into comedy gold that's honest to the core yet all in good fun. Is it for everyone? Probably not because it does lean towards the female demographic but you never know until you try. One Happy Ending is getting trampled by Son's War and Six Flying Dragons in the daily battle for ratings but I really wish people would watch it since it deserves so much better. But then again, I watch Son's War too. For synopsis,cast and ratings, see 2016 k-drama listing.